Three Rivers Press (CA), 9780307454393, 246pp. Finally, a modern relationship book for the modern relationship. My boyfriend joined the military and is being shipped off for an unknown amount of time. I m young and I want to move on. Am I a bad person? My boyfriend's number one friend on MySpace is his ex. Should I be concerned? 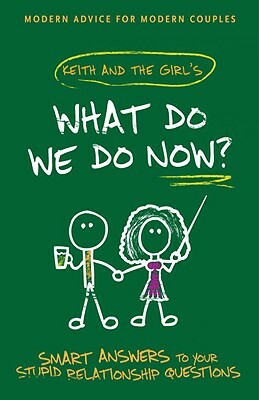 With he-said, she-said advice that is both raw and honest, "What Do We Do Now? "is sure to appeal to the podcast's legion of fans, and attract a brand-new audience tired of the tried-and-not-so-true relationship manuals. Keith and the Girl, are not held back by the FCC or anyone else. They create hilarious talk shows five days a week along with a once-a-week video podcast.